CHRISTIAN FAMILIES ARE ENCOURAGED BY THE HELP THEY’RE RECEIVING AS THEY RETURN HOME TO AREAS ONCE TERRORIZED BY ISIS. Franklin Graham recently traveled to the historic Christian town of Qaraqosh, Iraq, where he saw progress on Project Nehemiah, the Samaritan’s Purse initiative to rebuild the homes of persecuted believers. During this early November trip, he met with homeowners who, after years of displacement, have finally been able to return to their town thanks in part to our efforts to restore what ISIS had destroyed. To date, Samaritan’s Purse has helped repair or rebuild more than 780 homes in the area. In 2014, ISIS invaded the Nineveh Plains of Iraq, intending to eliminate any opposition to their self-proclaimed caliphate. Their convert-or-die threats forced Christian believers to flee for their lives. By the time the terrorists were forced out in 2017, once thriving cities were in ruins and explosive booby traps lay behind to harm whoever tried to return. 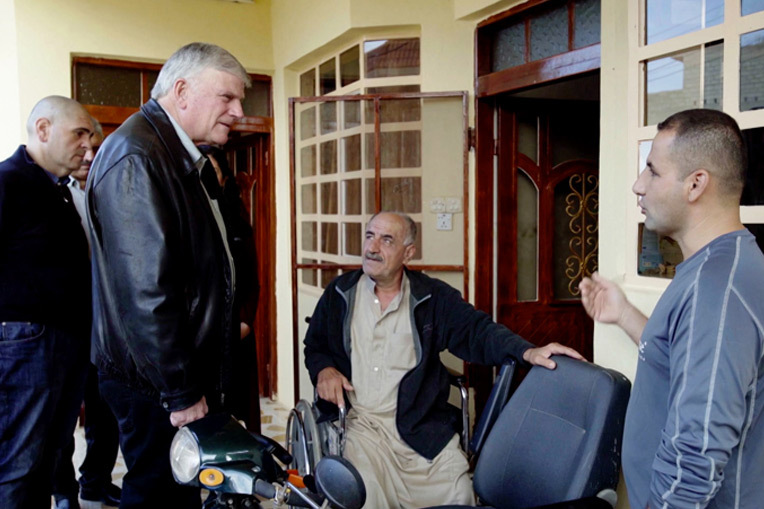 Samaritan’s Purse President Franklin Graham meets with Christians in Iraq where we are rebuilding homes destroyed by ISIS. In the summer of 2017, Samaritan’s Purse began repairing broken and burned walls, windows, doors and gates to allow displaced Christians to come home. By September 2017, working through local contractors and supporting the newly emerging local economy, we had welcomed ten families back to newly restored houses. By the end of 2018, Samaritan’s Purse intends to have completed 900 total homes through Project Nehemiah, which is named after the Biblical figure responsible for repairing the walls of Jerusalem during the reign of Persia’s King Artaxerxes. Each restored home brings not only much-needed encouragement to a persecuted family, but also helps restore vitality to the Christian community. Today, you can give a precious gift to help Iraqi Christians return home.  This gift will enable us to rebuild houses destroyed by ISIS so that Christian families can remain in northern Iraq as a light for the Gospel. You can even give this gift in honour of a loved one and we will send them a card notifying them.